Born overseas, Dr. Winnie Henderson experienced poor healthcare firsthand. “They don’t put a lot of money into healthcare”, she says, explaining that corruption and poor facilities are huge problems. Yet ever since her first Mission trip in 2015 with Cascade Medical Team, she’s been hooked. She says it is really rewarding, allowing her and others to “go to places where there is nothing.” It gives surgeons like her a chance to give back to communities in need. Many people are familiar with the idea of doctors doing Mission work. In our heads we may imagine some brave doctors in the jungle providing treatment to those that may need it most. These images would be correct, but in some cases there is a bit more to it than that. In some cases, mission work is a family affair. In early 2018 Dr. Henderson embarked on another mission – her third in four years – but this time her son and husband came along. The location of the mission was Santa Cruz del Quiché, Guatemala. 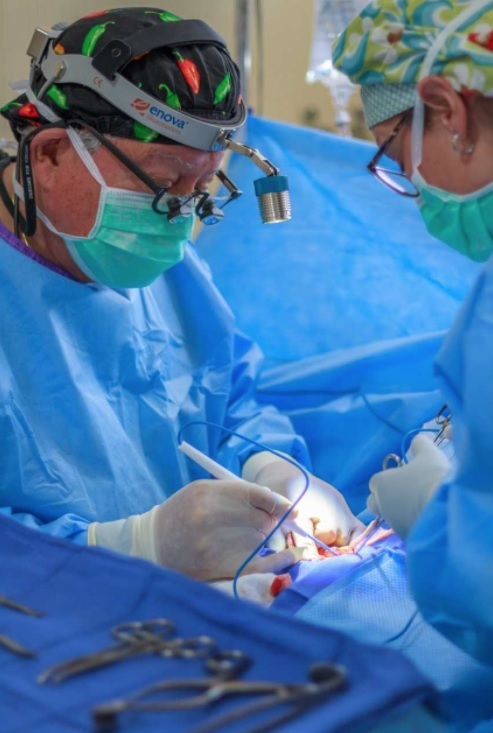 Stationed in an old military base, HELPS INTERNATIONAL in Guatemala retrieved mission equipment from previous years in order to set up temporary operating rooms for the surgeons. With a population of 90,000, the area surrounding the makeshift hospital lived with very little. “They have nothing”, Dr. Henderson says, adding that 65% of the inhabitants of the area live in poverty. With so little in the way of money and resources, medical attention is a much-needed asset for the locals. Yet, surgeries and clinical visits aren’t the only thing needed: cue Dr. Henderson’s family. For this specific mission, the goals were twofold: provide medical care, and build stoves for the local people. This is where Bill Henderson, Dr. Henderson’s husband, comes in. The need for medical care is easy to understand, but the building of stoves is, as Dr. Henderson explained, a very important component to the success of the community. 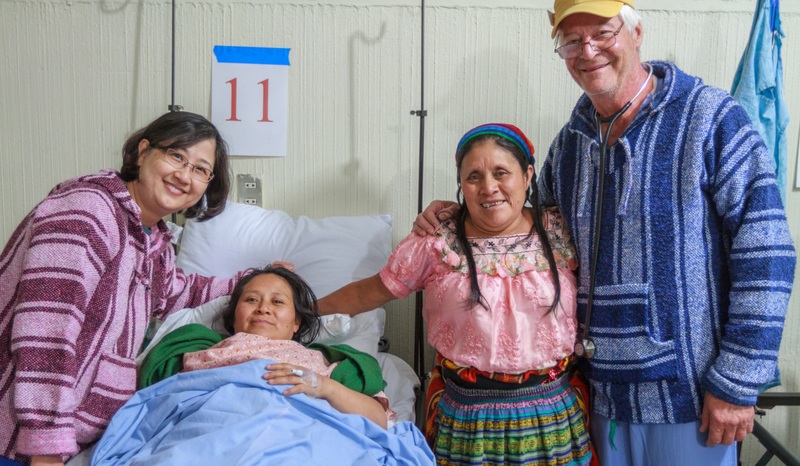 Many of the surgeries that Dr. Henderson performed while in Santa Cruz del Quiché were hernia surgeries, a problem that arises from Guatemalans transporting large amounts of wood for the inefficient and archaic stoves that they use to warm their houses and for cooking. Old stoves like those in use by the local people also contribute to COPD, a lung disease commonly associated with long-term tobacco users and prolonged smoke inhalation; The standard stoves are basically an open fire without a vent. The ONIL efficient stoves installed by Cascade Medical Team also save thousands of trees and contribute to improving the environment as well as improving the health of the Guatemalans. Bill Henderson was part of the team that built stoves for the community, hoping to decrease the instances of hernias, COPD, and accidental burns that the surgeons in the makeshift hospital were treating. Instead of solely addressing the effects, Cascade Medical Team Guatemala’s mission attempted to address and combat the causes as well. By eliminating some of the causes, the need for comprehensive surgery can also be eliminated for many in the future. 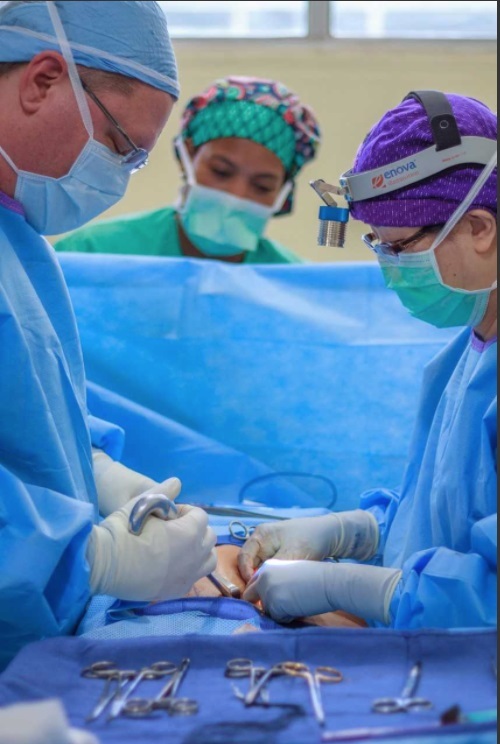 Dr. Henderson (right) performs surgery in Santa Cruz del Quiché. Anyone involved in mission work will tell you they need every bit of help they can get. This is where Michael, the third and final Henderson, comes in. Michael Henderson joined his mother and father as team photographer, snapping photos of the surgical and stove-building teams. But his additions to the trip were not just in the form of documentation. Dr. Henderson and Michael – who is currently in college and had the primary mission assignment of sterile processing – went to the field early with the triage team. The triage team sees patients early and signs them up for upcoming surgery blocks. Despite being a photographer by nature, Michael helped the anesthesiologists set up their equipment, prepared the hospital for the busy week ahead, and worked diligently sterilizing surgical instruments for the surgical team. 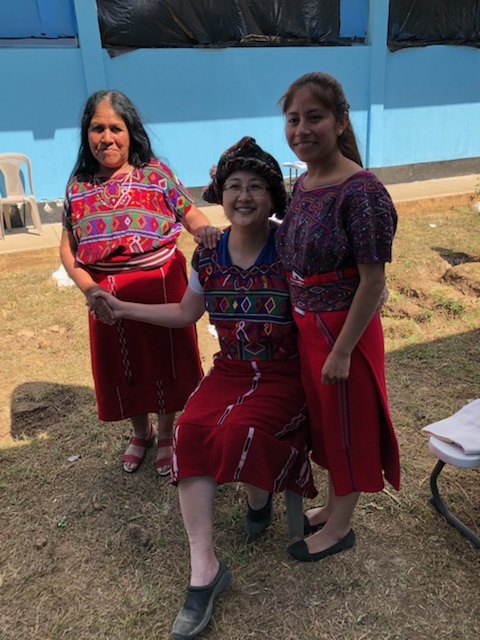 What becomes clear through the story of the Hendersons in Guatemala is that Mission work is a much more all-encompassing endeavor than many of us realize. Mission work is not just about performing surgeries; It’s is also about building stoves and setting up communities of volunteers. Through helping communities in need, in whatever form necessary, the people doing mission work inspire us to give back. Some are able to give back in the form of time, some give back in the form of expertise, and others give back in the form of love. Many, like the Hendersons, give back in all these ways. Dr. Henderson (left) and Dr. Robert Schauer (right) with some happy patients. As a medical product manufacturer, one of Enova’s main goals is to give back in the form of light. As is typically the protocol, Enova sent two headlights with Dr. Henderson for use in the makeshift hospital. What Enova did not anticipate, however, was how exactly the lights would be used. Dr. Henderson described the campus as operating rooms and sleeping quarters separated by an old runway (this was a military base after all), adding “When the sun goes down, it’s dark.” As it turns out, the XLT-125A doubles as a useful beacon for the crossing of the airstrip. But the headlights were (as we hoped) also quite useful for surgery. Dr. Henderson said 2 out of 4 O.R.s on the base were without power, needing generators to power their tools. In some instances, the generators would shut down and the anesthesiologists had to scramble to cover these shut-downs, pumping fluids by hand. But because the LED Headlight batteries were charged each night, the surgeons could still see, despite the outages. Dr. Henderson in local attire with her patients. Speaking with Dr. Henderson about this trip taught me a lot about community, altruism, and multi-functionality. I wish I could recount all the funny and touching things that Dr. Henderson had to say, but as a tease here are some tiny summaries of some of her stories: fundraising event for Cascade Medical Team called “Docs and Ducks” (Oregon Ducks), a surgical colleague accidentally winning a headlight competition with Dr. Henderson’s light, and embracing the Mayan culture (check out the photo at right). Thanks for chatting with us Dr. Henderson, we loved learning about your trip. Don’t forget to reach out to us the next time you need light! Photos by Michael Henderson, team photographer. Find him on Facebook as the page Lifewithhenderson. To learn more about Enova’s Mission program visit goenova.com. Next PostNext Shedding Light, April 2018!